Why are so so urgently needed? Below are just four reasons. 1. 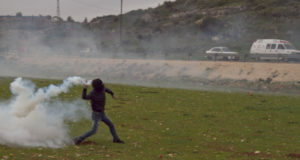 The recent Israeli orders to use live ammunition against demonstrations close to the apartheid wall, unless there are internationals or Israelis present (http://www.maannews.net/en/index.php?opr=ShowDetails&ID=28361), means an international presence offers some protection for the basic rights of Palestinians to nonviolently protest against injustice. 2. In the West Bank ISM will support Palestinians challenging the apartheid road system. Watch this video (http://youtube.com/watch?v=i14gFMXtVMc) for a short film about the injustice of Road 443 and a previous action ISM participated in. 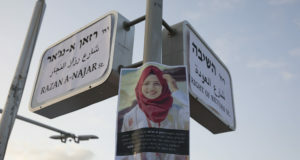 Joining Palestinians in non-violent actions against Israeli-only roads, will increase the exposure of the road system that runs throughout the West Bank, and to link it to the wider implications of the Israeli apartheid system, including the expansion of illegal settlements as well as the checkpoints that cripple Palestinian’s freedom of movement. 4.In Gaza, ISM will continue our campaign to fight against the Israel’s extreme collective punishment of Palestinians in the Gaza Strip. We will demonstrate in Egypt on the 30th May 2008 where we will aim to break the siege on Gaza. ‘Put Your Body Where Your Heart Is – Break The Siege On Gaza’, will be the starting point for the ‘Summer Against Apartheid’. See here (there will be a link to the call-out that will be on the website) for more details regarding this action. In addition, many former ISM volunteers will take part in breaking the siege of Gaza by sailing into its port during the first week of August. See www.freegaza.org. Witness first-hand the suffering, the courage and the generosity of the Palestinian people under Israeli occupation. Experiencing the situation for yourself is vital in the aim of conveying the reality of life in Palestine to your home communities and re-framing the debate to expose Israel’s Apartheid policies, including creeping ethnic cleansing in the West Bank, as well as it’s collective punishment and genocidal practices in Gaza.